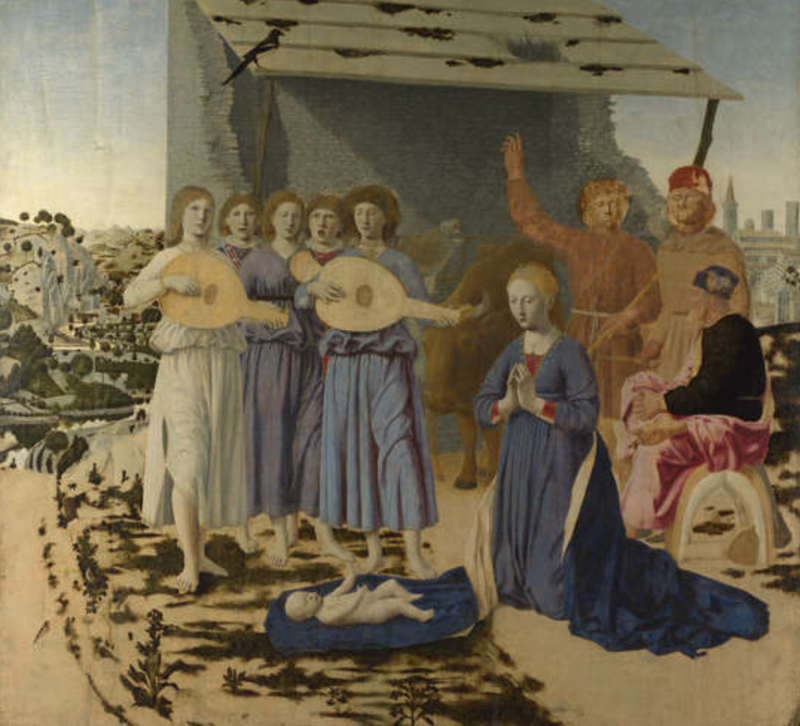 "Two artists always fascinate me - Piero della Francesca and Rembrandt. I am fixed on these two and their insoluble opposition. 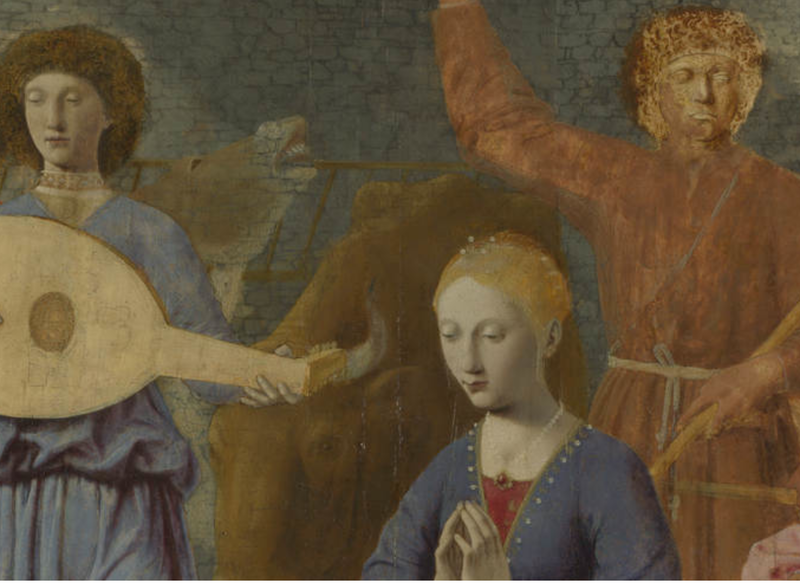 Piero is the ideal painter: he pursued abstraction, some kind of fanastic, metaphysical, perfect organism. 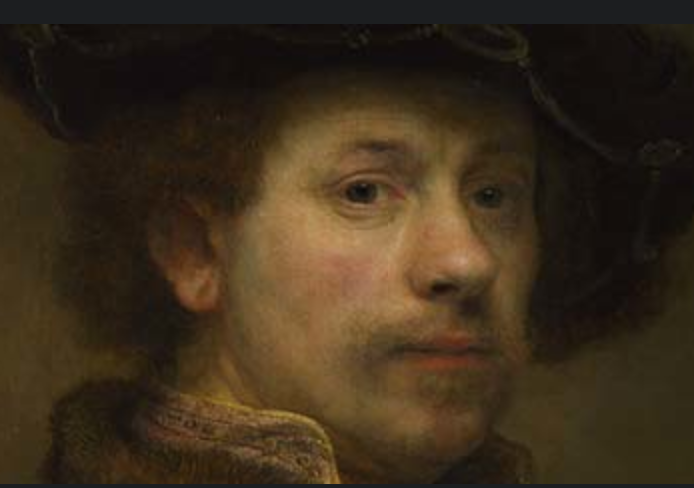 In Rembrandt the plane of art is removed. It is not a painting, but a real person - a substitute, a golem. He is really the only painter in the world!" Interesting take on these two painters. 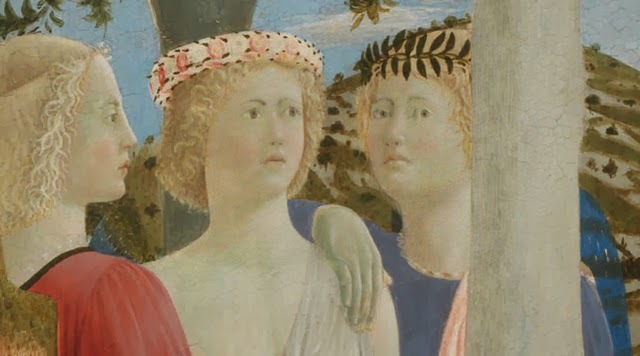 I am not sure exactly what he means by saying that Piero is 'an ideal painter'. 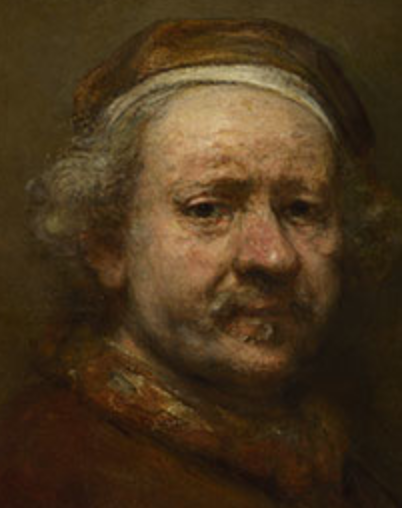 And regarding Rembrandt in saying 'the plane of art is removed' again, I am not sure what he is getting at. 'A golem', I had to look up, to be honest. The word golem occurs once in the Bible in Psalms 139:16, which uses the word גלמי (galmi; my golem), meaning "my unshaped form", connoting the unfinished human being before God’s eyes. The Mishnah uses the term for an uncultivated person: "Seven characteristics are in an uncultivated person, and seven in a learned one," (שבעה דברים בגולם) (Pirkei Avot 5:6 in the Hebrew text; English translations vary). In Modern Hebrew, golem is used to mean "dumb" or "helpless". Similarly, it is often used today as ametaphor for a brainless lunk or entity who serves man under controlled conditions but is hostile to him under others. "Golem" passed into Yiddish as goylem to mean someone who is clumsy or slow. So, what does Guston mean to say? I assume the plane refers to the notion of separation. Thus the viewer and the artist are one and the same. Maybe Guston feels that Rembrandt is the one and only artist who has transcended ART and delivered us to mortality (his). Guston's last remark is akin to saying that no other painter has achieved what Rembrandt did, at least in the realm of self portraits. 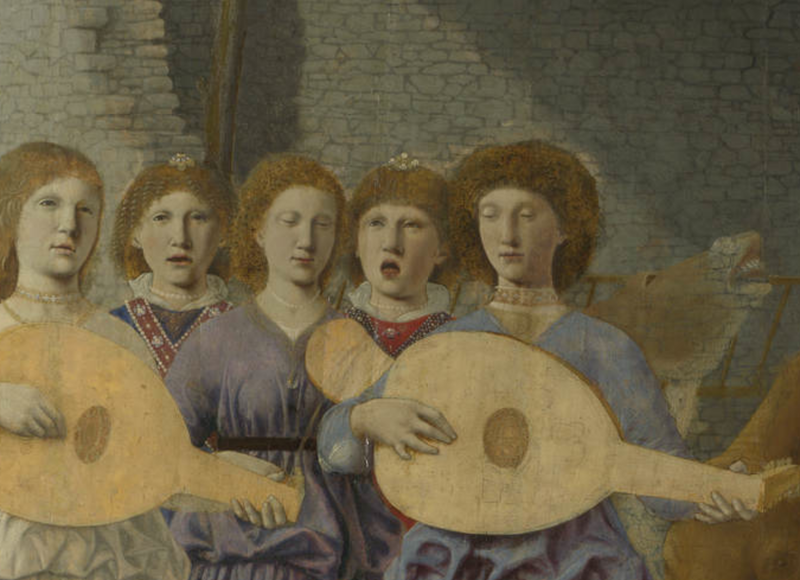 yes, about the plane of art being removed but doesn't that actually happen in any really great picture wherein Reality is completely present no matter the form of abstraction employed? In the instance of Piero, Guston seems to say that Piero's reality is the ability to create an idea - a really perfect one. The abstraction of his thought is the reality and even his mind's eye may play tricks on him. 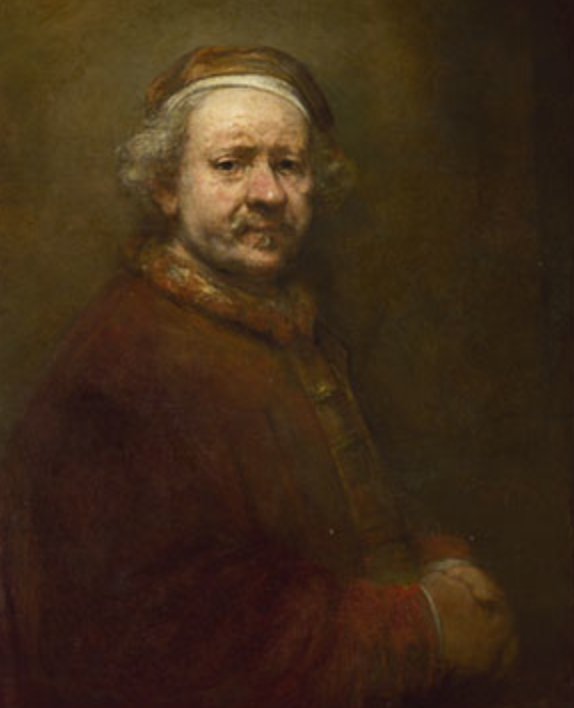 With Rembrandt, the painter has removed all conceits from the equation - he is painting the reality of what he sees without any other agenda! It is what it is. I think Guston is saying no one has gotten closer to the truth about painting "reality". (5 X 5) THE ANTS ARE COMING!